The Fukushima Daiichi Nuclear Power Station. Griffin, SRNL’s Associate Laboratory Director for Environmental Management, along with Pacific Northwest National Laboratory’s Wayne Johnson, are leading a joint SRNL/PNNL effort to provide the Tokyo Electric Power Company – owner of the tsunami-damaged plant – with recommendations related to many of the highest priority technical issues associated with the initial cleanup process in the aftermath of the March 2011 earthquake and tsunami. SRNL and PNNL have a contract with TEPCO that grew out of a series of discussions and visits in 2011-12. Most recently, Griffin and Johnson and a joint technical team visited Japan in late October to get an additional look at conditions at the facility, and to begin to develop recommendations in seven overall areas. The SRNL/PNNL collaboration offers a portal for TEPCO to access broad science and technology talent made available throughout the entire DOE national laboratory system. Control of groundwater—Fukushima Daiichi needs effective strategies for protection of the area’s groundwater resources and the ocean, and treatment of contaminated water that has accumulated at the site. Both PNNL and SRNL possess tools and techniques for groundwater contamination control, monitoring, and safety assessment and evaluation. For example, the Subsurface Transport Over Multiple Phases (STOMP) computer model provides multidimensional analysis capabilities for modeling subsurface flow and transport phenomena. Grouting—Grout is a promising option to stop water leakage that’s occurring between reactor and turbine buildings at Fukushima Daiichi’s reactor units, and could be a key step toward facilitating decommissioning of units 1-4. SRNL has extensive experience in grout development and also has operating experience with grouting components reactors and other facilities. Sample analysis and laboratory capability—A sample analysis laboratory—or perhaps multiple laboratories—sited adjacent to Fukushima-Daiichi, is needed for sampling tasks associated with radiological waste processing and fuel debris characterization. Because of various challenges at the site, an innovative approach for establishing laboratory capabilities is required. SRNL and PNNL are known for their analytical chemistry capabilities and can provide the Fukushima site with both methods development and specification of equipment and facilities spaces. Waste treatment and disposition—Solutions are needed for the handling, treatment and disposition of multiple radioactive waste types with varying contamination levels. PNNL’s support to cleanup at the Hanford Site’s K Basins has led to methods for the effective retrieval, processing, containerization and storage of damaged spent fuel and sludge—knowledge that’s transferable to Fukushima Daiichi. Also, PNNL’s GIS-based “Phoenix” tool, developed over the past year, offers significant advances in the identification and inventorying of waste and waste sites, and may have applications for this activity. Similarly, SRNL has developed rapid waste composition analysis techniques that should facilitate waste characterization efforts at Fukushima. SRNL has also developed performance assessment methodologies that identify key radioactive species as they relate to environmental risk to support cost efficient waste disposition. Water treatment—Contaminated water treatment at the site is a significant challenge, as large volumes of process water have accumulated over the past 18 months. Cesium removal efforts have been successful, but because of the presence of other radionuclides, the process water must be stored until additional treatment steps are brought online. Another concern is the presence of sodium chloride in the water. SRNL possesses a rotary micro-filter technology that, combined with a salt crystallization plant, allows for the selective extraction of salt from contaminated water. PNNL also offers capabilities that can simulate contaminated water characteristics, facilitating the testing and creation of water treatment processes and technologies. 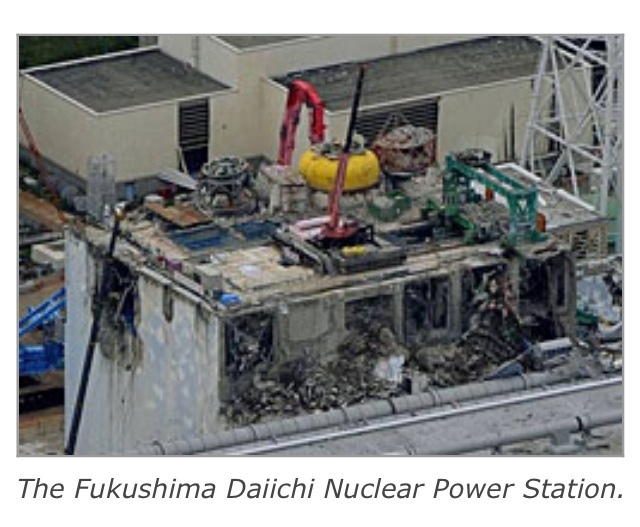 Fuel debris—Fukushima Daiichi is in particular need of fuel debris treatment technologies. The debris will present significant challenges for decommissioning of reactors at the site. Both SRNL and PNNL possess insights into fuel canister/container technologies for broken fuels and storage, and also can apply at Fukushima Daiichi the knowledge gained through Three Mile Island’s fuel debris treatment and storage activities. Additionally, both labs draw upon expertise gained in cleanup and management of fuel basins. Community revitalization—The accident at the site resulted in the evacuation of residents within 20 kilometers. The remediation of the Fukushima Daiichi area will be important to enable residents to return and to enable the revitalization of the local communities. Both SRNL and PNNL possess extensive economic revitalization and stakeholder engagement expertise and practical experience that can help to reinvigorate the region around the plant site. A formal report to TEPCO on recommendations in these areas is expected after the first of the year.